Educa manufactured this puzzle in 1989. The title is Oregon, USA. On the Pacific coast, North of California, the quiet beaches and the crystal clear waters lap the grey sand that reaches as far as the reefs, giving the sensation of a remote, unexplored land. 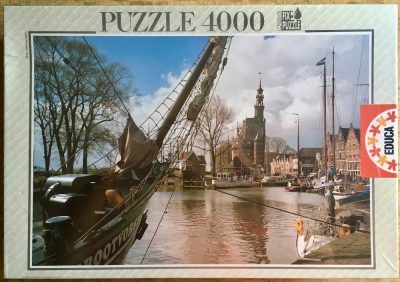 The puzzle is like NEW, with all the pieces SEALED the original plastic bag. The box is in very good condition, although it shows some minor shelf wear.